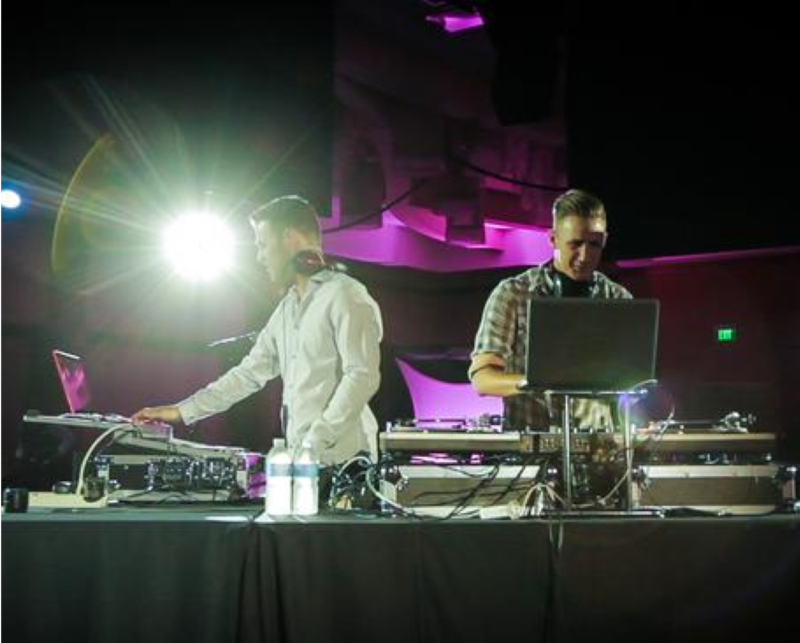 Imprint Group DJs bring a high level of energy and expertise to every type of event. Whether for a wedding, corporate event or social celebration, our DJs enhance any event and make it the best experience for all guests. Or take it to the next level and book one of our unique DJ plus products for an enhanced entertainment experience. Want to Request a DJ for Your Next Event? Submit Your RFP Now. 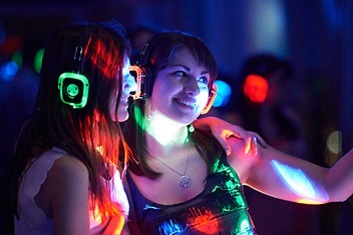 Imprint Group is excited to bring you Silent Disco - an experience where attendees dance to music listened to on wireless headphones. Our DJs battle and the headphones light up according to which channel they’re listening to. Great for quiet venues or to create a party within a party! Guests are astonished by the energy and excitement of not one, but two amazing DJs - dueling it out with their high tech weapons - their turntables! These guys are the real deal, actually scratching and mixing it up with their amazing mash-ups of contemporary and classic tunes. The end result is a startling, energetic act that you have never seen before! 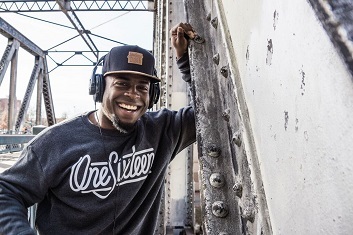 DJ Jordan offers an extensive performance background combined with incredible passion to make him a crowd favorite. With half a decade of experience DJing throughout Colorado, Jordan has officially become an event “dual threat,” performing as a singer/guitarist as well as packing the dance floor as an amazing DJ. Karl Collins, also known as DJ Blu Collins, is the epitome of DJ entertainment. 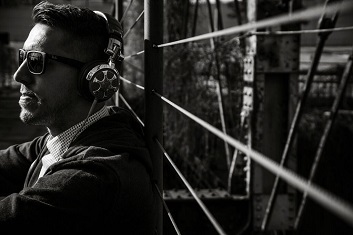 DJ Blu is highly professional, well-rounded and personable. He is very knowledgeable in all music genres and creates an atmosphere that allows guests to feel comfortable and have a great time. 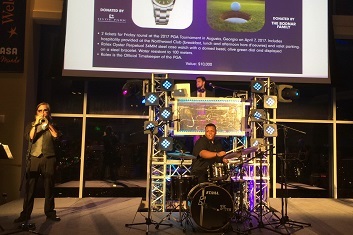 DJ From weddings and school dances to corporate events and holiday parties… Blu does it all! 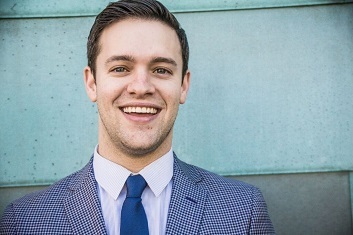 His passion for live music and entertainment through college earned Adam his B.A. in Music. Over the years, playing in major east coast clubs and to audiences of 2,500+, Adam cultivated a national entertainment network in an effort to continually source new music, talent and advance his own trade. Now, Adam brings his talents to Colorado and to your next event. Elevate your DJ experience to new heights with a floating DJ booth. 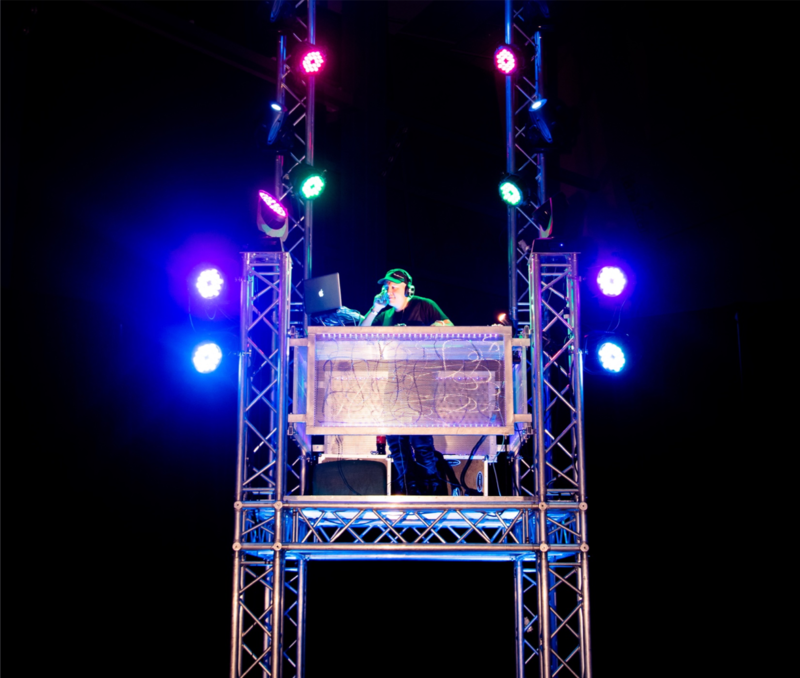 Suspended from the ceiling, our DJ booth includes the DJ, sound and lighting for an amazing focal point to your event. Please note this option requires venue support and approval. Ask your salesperson about this impactful option. Our DJ Nest is elevated from the ground to see and feel the crowd from above. 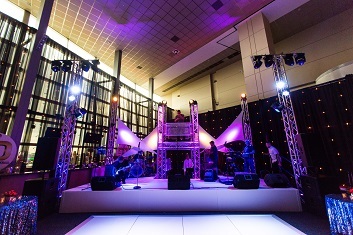 Ground supports with trussing, our DJ Nest includes the professional DJ, sound and lighting. Please note this option requires venue support and approval. Raise the bar, ask your salesperson about this distinctive option. Unstrung Decibel is a concept that incorporates live DJing, Guitar and Keyboard, utilizing the talents of Matt Chimes and Adam Weisman. The duo brings a unique style that engages the crowd and moves people together throughout the night. The two play off each other's musical cues and create essentially a knowable-live set-jam session-mashup. Chemical Foxes combines the best of both the club-style DJ music everyone loves to dance to, and the infectious, electrifying performances only found with live instruments. Whether you’re looking for ambiance style background music or main stage entertainment, Chemical Foxes is the band for you. 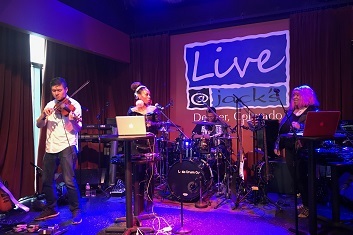 The band consists of an Electric Violin, Trumpet, Drum kit and DJ. Created by National Award Winning DJ ShakeOne, Tone Play is a new product providing the trending and very popular DJ vs. Strings vibe to your next event. 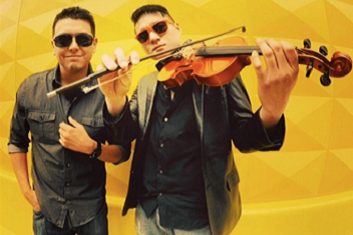 The violin battles the DJ for supremacy as they slowly become one dynamic and entertaining sound.